John Rinaldo brought The Muse to downtown to be a part of the neighborhood's revival -- but will he still be there when the urban renewal efforts are complete? This article was originally published in the Sept. 10, 2017, edition of the Sun. Upon opening its doors two years ago, The Muse, 536 Main St., across the street from Hanover Theatre for the Performing Arts, intended to build upon the momentum of the city’s revitalization plans. Coming to Federal Square during the much-ballyhooed “downtown renaissance,” The Muse owners John Rinaldo and Matt Kingman set forth to be a part of the bigger picture. Cultivating a brand based on the anticipated vibes of new visitors and returning friends with hip cocktails and craft beer, The Muse has added something flagrantly unique to the urban lifestyle trend in Worcester. 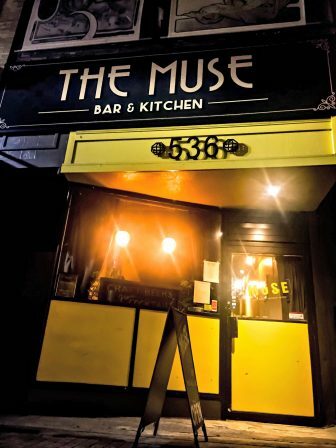 Coupled with its tight embrace of the city’s flourishing arts scene, The Muse quickly set itself apart from the typical Worcester bar. 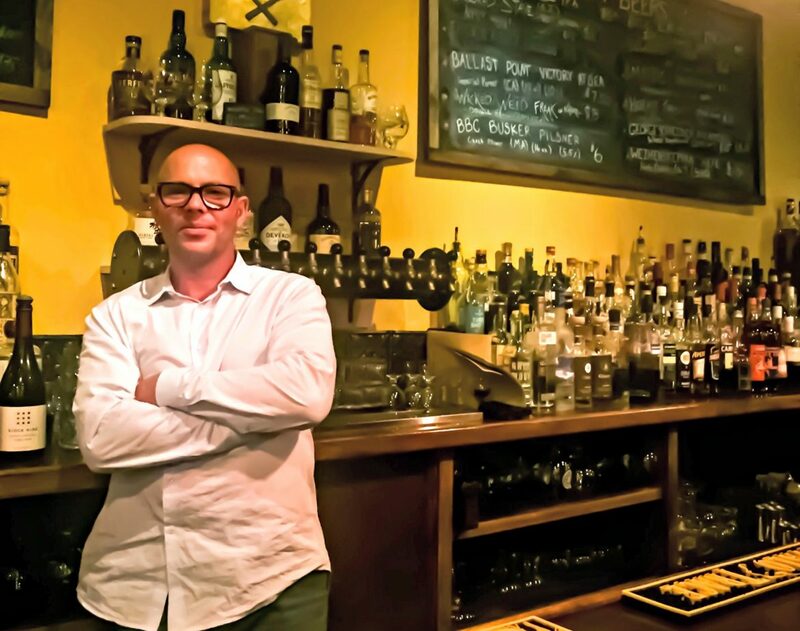 With more than 30 years of hospitality experience and a hearty helping of inspiration from other forward-thinking business owners like Alec Lopez, owner of Armsby Abbey and The Dive, Rinaldo saw Worcester for what it truly is: a blank canvas. “We are trying to be a part of the group,” Rinaldo said. “We want to set a trend in craft beers like deadhorse hill [restaurant & cafe] and The Pint, and we try to maintain that through the constant changing of available beers. “We work with a great selection of breweries from Flying Dreams to 3cross Brewery to Jack’s Abby. We tap into the craft beer markets in Connecticut and New Hampshire to keep the rotation fresh,” he said. Home to what Rinaldo claims is one of the biggest back bars in the city — and the largest stock of Amaro, an Italian bitter liqueur — The Muse prides itself on its ability to offer something the city didn’t know it needed. From curated charcuterie boards to pickled vegetables and olives, The Muse gives a taste of Italian culture with a twist on the urban Renaissance. “Our Italian artisanal cheeses and meats are not seen in Worcester, and that is what we are going for. We have unique beer and spirits, but we also host local artwork from artists in the Worcester community,” Rinaldo said. “We want to embrace the talent and provide a unique experience for our visitors. “Plenty of artists have hung their work on our walls for free and we want to continue providing that outlet. Artists like Sharinna Travieso, Scott Boilard, Aaron White and John Vo, among many others, have graced us with their talent,” he said. The Muse, 536 Main St. The Muse, named for the nine inspirational goddesses of literature, science and the arts in Greek mythology, is a vibrant realization of just that. It sets the tone for creation and inspiration through its well-rooted connections in the arts and hospitality sector, and it opens its doors for creative collaborations. But the phones aren’t ringing as much as they should, and the intimate bar isn’t as packed to the brim on a nightly basis as one might expect. 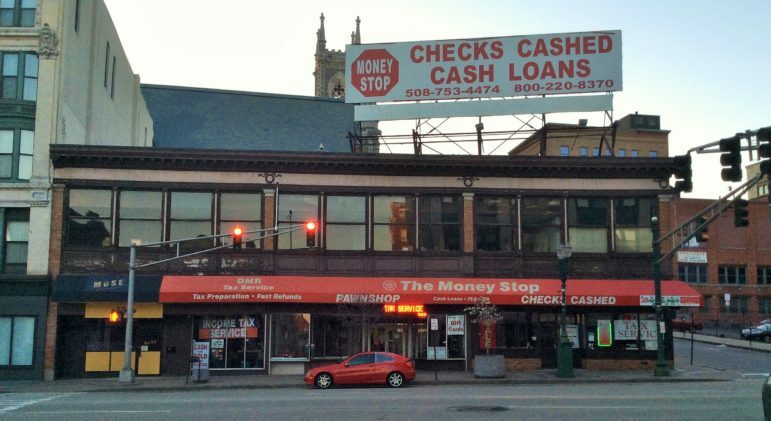 The Sun reported last month that Massachusetts Development Finance Agency purchased 526-538 Main St. — the parcel known for its main tenant, The Money Stop pawn shop — for $800,000. The Muse shares the building, which is identified as a target for acquisition and redevelopment by the Worcester Redevelopment Authority’s 2016 Urban Revitalization Plan. While the sprawling renewal project is underway, the goals and results sometimes appear muddled to those the plans affect most. MassDevelopment recently bought the Money Stop building downtown. “We are looking forward to the plans of the city and to see where we stand after the purchase of the building by MassDevelopment. Even though we embrace the movement happening in Worcester and believe in the plans to bring life back into [downtown], it often seems that, although I am a block away from City Hall, I might as well be four blocks away,” Rinaldo said. Despite the current economic state of many downtown small businesses that remain unsure how they fit into the city’s grand future plans, Rinaldo is not only a lifelong city resident, but a true Worcester believer. Giselle Rivera-Flores intertwines her love of all things innovative with her passions for writing. A writer for Worcester Sun and Mass Foodies, Giselle plays an active role in the Worcester community. As founder of The Learning Hub, a STEAM maker program for local libraries (and co-founder of Woopreneur, a branch of IGWorcesterMA) Giselle connects students with academic tools of success during the day while connecting the entrepreneurial community through events and workshops at night. Working as a professional writer with an extensive background in business development, she has evolved into a connoisseur of words and brand. Currently working on a book titled, "Smash Goals," Giselle resides in Worcester with her husband and two daughters.